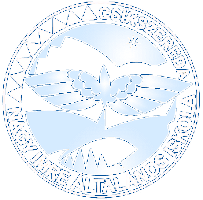 Our school, the ‘Nagy Imre’ Primary School is situated in the centre of Miercurea Ciuc, the county seat of Harghita County, located in Eastern Transylvania, Romania. Our school is pretty new, it was built in 1991. It was named after Nagy Imre, an acclaimed painter of this region. A couple of years later, the school has been extended with another wing. The main part of this new wing gives place to a large gym. The main building has three floors and an attic with rooms for guests. There are 27 classrooms in the school, different special laboratories for chemistry, physics, biology and computer science, a foreign-language cabinet, a library, and an administrative office. Currently, 947 pupils attend the school from the first to the eighth grade. Most of the pupils live in the town, so they can come to school on foot or on bike, but there are many students, who live in the surrounding villages. They usually come to school by bus or by train to get a better education. The language of instruction at our school is Hungarian, because we belong to the Hungarian minority. Besides the Hungarian, we also learn Romanian as a first language, because it is the official language in this country. As foreign languages, we learn English and German. One language is taught from the third grade, the other from the fifth. Those who start learning English from the third grade, they will learn German from the fifth, and vice versa. I`ve been learning English for six years now in our school and I think that`s a huge help for teachers and for students to have a special cabinet for teaching/learning the language. English is the favourite subject for a lot of students, which is a really good thing these days, when English is an essential, a basic language to know. Besides the great education what we get at this school, we have a lot of opportunities for entertainment: parties, trips with the classmates, folk-dance, theatre and various sport facilities (soccer, handball, basketball, ice-skating, floorball, swimming etc.). I am very proud of my school, I love to be a student here and I can`t even imagine a better school than this.